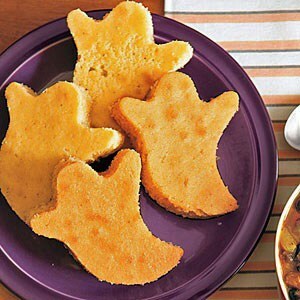 Halloween Party Food Ideas: Easy Halloween Recipes! 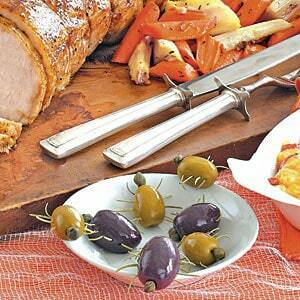 Halloween Party Food Ideas: Five Easy and Festive Recipes! Halloween is definitely a holiday for the creative. Everywhere I look, I see crazy carved pumpkins, cute crafty decor, incredible costumes and exciting entertainment ideas. 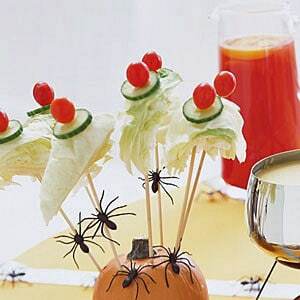 I especially love all the Halloween party food ideas! I usually can't even come close to dreaming up anything remotely new and different for Halloween ideas. 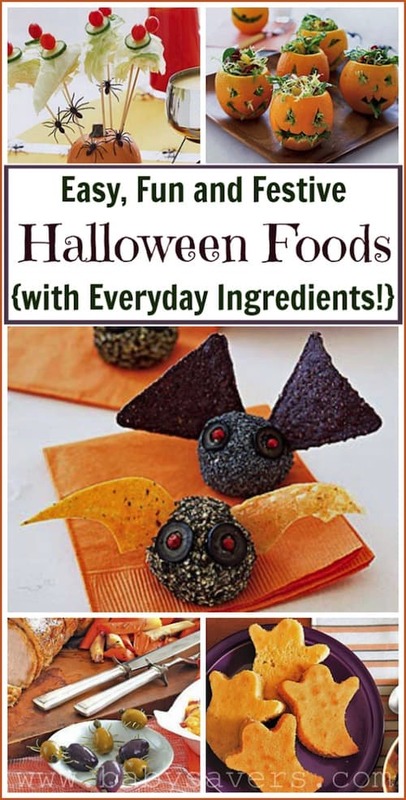 In the same vein, I'm always excited to see new ideas for making everyday snacks into festive Halloween party food ideas! 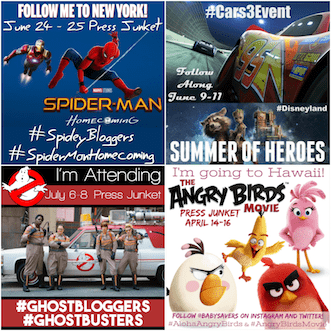 Share this post by pinning it on Pinterest, then follow me on Pinterest! I just received a press release from All You Magazine highlighting some of the best Halloween Finger Foods. I was pretty surprised to see a lot of ingredients that would appeal to adults. 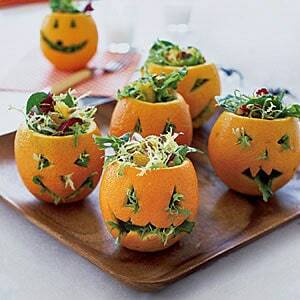 Dressing up more mature food in such a fun way seems like a great way to get little ones to taste something new! 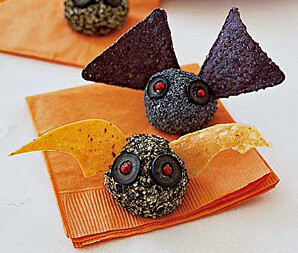 Here are some of my Halloween party food ideas with links to the recipes! All images courtesy of All You Magazine and MyRecipes.com. Too cute, the olives make very realistic spiders. These are all so adorable. I love the bat the most though! These are so cute and creative. I like the bats best too. Those bat bites are awesome! 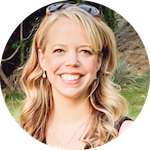 I’m coming up with some great ideas for Halloween treats… thanks for sharing! 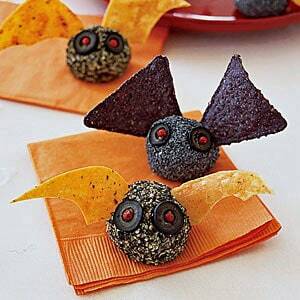 Awesome—love those bats, I wouldn’t even want to eat them they look too good. These are adorable and I love how they aren’t all sweets or junk food. They are all so creative!